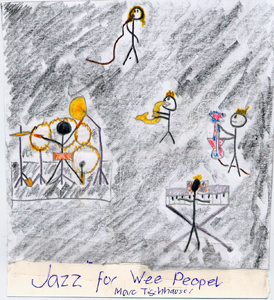 JAZZ FOR WEE PEOPLE is an educational and historical journey through America’s only original art form. JFWP was developed over twenty five years ago by musician/historian Washington Rucker, who specifically designed the program to expose school-aged students to the music performed by professional Jazz musicians. 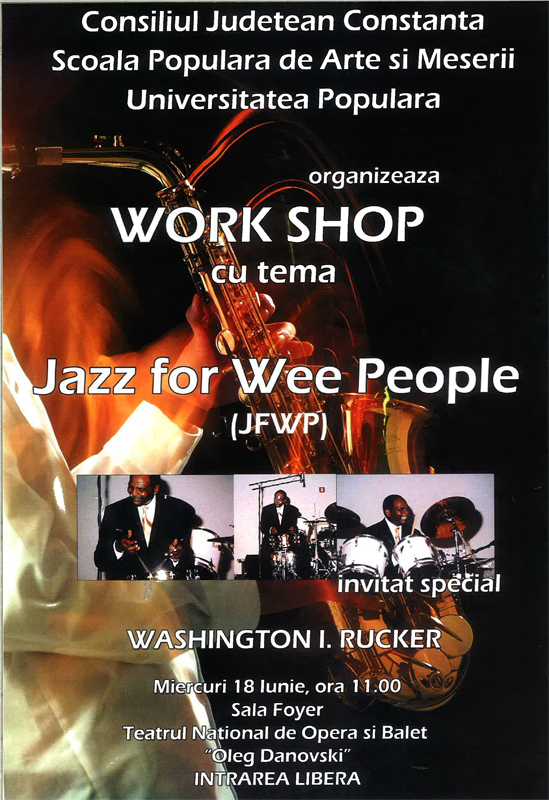 JFWP started, began under the auspices of the international association of Jazz appreciation of which Mr. Rucker was vice president. It is now presented by Rucker through his associations with the LA Jazz Society, DA CAMERA society and the Pasadena Symphony educational outreach programs. 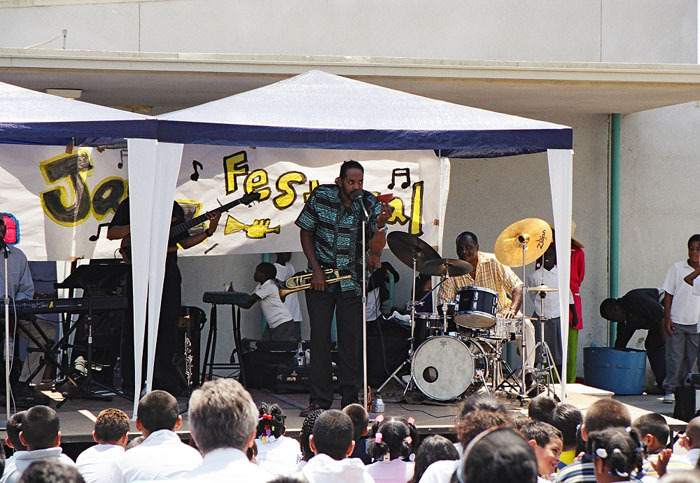 Each year, JFWP reaches nearly 30,000 kids with three bands performing the program. 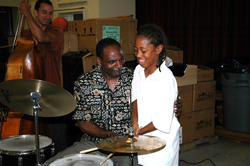 In school districts that are often short on musical programming, JFWP has successfully encouraged interaction between students and musicians committed to the perpetuation of Jazz. The education component is enriched with history of the music as it relates to the music’s of today’s youth, from nursery rhymes to pop to jazz. The three bands are multi ethnic, with Spanish spoken to broaden the reach and illustrate the contributions of others to the art. 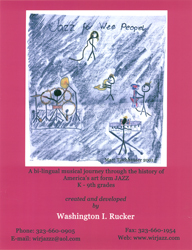 This fast-paced historical journey through Jazz is designed to entertain and engage even the youngest child. 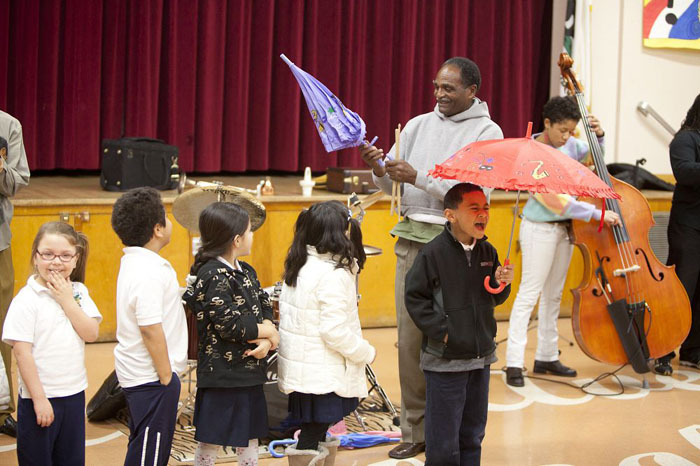 Kids will be introduced to Jazz and the instruments used in the genre, develop a greater appreciation for its continuing role in their lives and, hopefully, spur desire to learn more about music in general as they progress through their education. 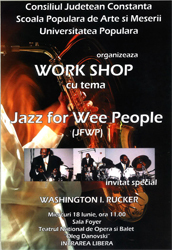 The musicians fully understand the importance of education and how music can be used as a tool to make the process of learning fun and engaging The Jazz For Wee People program is designed to encourage participation by the students in order to introduce them to Jazz – America’s only original art form – while at the same time illustrate how elements of Jazz are present in everyday life. 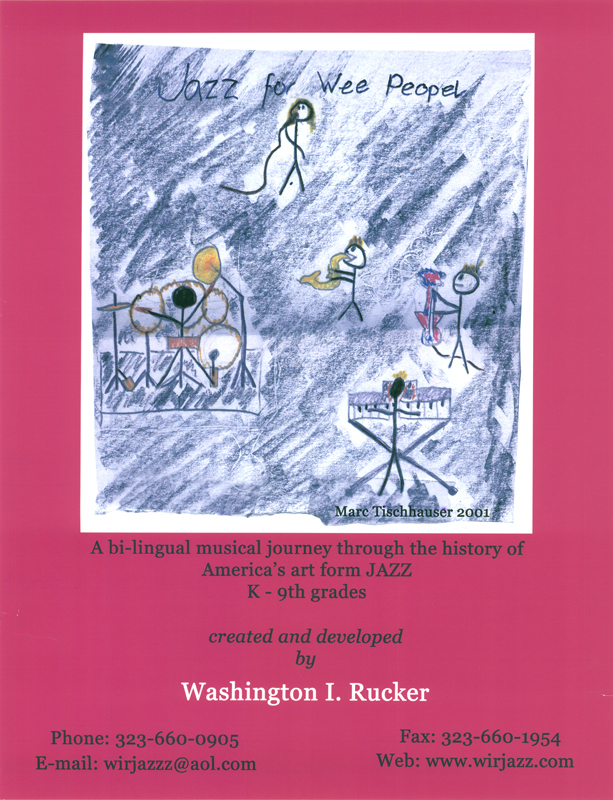 Before the musicians arrive, a teacher’s guide is sent ahead to schools to give teachers time to introduce Jazz to each individual class. 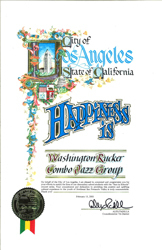 This information is then highlighted within the presentation, which reinforces music, education, interaction and Jazz knowledge.